Mr. Mustafa Hijri is the current leader of the Democratic Party of Iranian Kurdistan (PDKI). Mr. Hijri was born in 1945 in Nagahadeh. He graduated from the Teachers’ College of Agriculture in Urmiye in 1963 and took up a post as a secondary school teacher in the city of Saghez. In 1970, he started studying Persian literature at Tehran University, where he obtained a Bachelor’s Degree. On returning to his hometown, he started teaching at a secondary schools and a college. Mr. Hijri played a prominent role in the demonstrations in 1978 against the Shah’s regime. After the revolution, he ran in the first parliamentary elections in the constituencies of Naghadeh and Oshnavieh, where he won over 80% of the votes. But the newly established Islamic Republic of Iran rejected the results, and on the 17th of August 1979 Ayatollah Khomeini issued an Islamic decree, Fatwa, declaring “holy war” against the Kurdish people and labeled the PDKI the “party of Satan”. 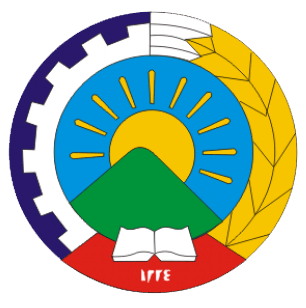 Mr Hijri was elected into the PDKI leadership at the party’s 4th Congress in 1979; he was later elected into the executive committee of the party. Following the assassination of the PDKI leader Dr. Abdul Rahman Ghassemlou in 1989 by Iran, during peace negotiations, in Vienna, Austria, Dr. Sadegh Sharafkandi was elected as the new leader of the party and Mr. Mustafa Hijri as his deputy. In September 1992 Dr. Sharafkandi was also assassinated by Iranian agents in Berlin, Germany. After the assassination of Dr. Sharafkandi, Mr. Hijri became interim party leader until the 10th congress of the PDKI in 1995. Between the 10th and 13th congress of the PDKI, Mr. Hijri was deputy party leader and since the 13th party congress in 2006 he was elected to lead the party. In the party’s 15th congress in 2012, Mr. Hijri was reelected to lead the party for four more years. Mr. Hijri himself has survived several assassination attempts. The latest attempt on his life was as recent as 2007. Mr. Hijri is known and appreciated by his supporters as well as political opponents to be a man of principles. In a Middle East region where the violation of principles is the cherished norm and where violence is the preferred and prioritized means of resolving conflicts, Mr. Hijri has consistently called for a new political culture to facilitate the peaceful resolution of the region’s conflicts. While the leaders of PDKI, including Mr. Hijri, are not pacifists and have defended the rights and interests of the Kurdish nation through armed struggle, they nevertheless believe that genuine peace and stability could only be achieved if the peoples of the region recognize the rights of each other and engage in political dialogue and negotiations to find solutions on fair terms to longstanding issues and problems. Since Iran is one of the most important countries in the Middle East, Mr. Hijri has in his speeches and writings emphasized the need for solidarity and mutual respect among Iranian opposition groups in pursuit of ending the dictatorship in the country. Mr. Hijri has since 2004 called for a federal democracy that reflects and constitutionally protects the rights and interests of the various ethnic, national and religious communities within the borders of Iran. A federal and democratic Iran, Mr. Hijri has argued, could ensure that Iran is at peace with itself and the plays the role of a constructive member in the international community.